In 1864, founder of the University of Washington, Asa Mercer, left the Territory in search of young, single women willing to make the treacherous journey from the East Coast of the United States to the Pacific Northwest. While Mr. Mercer did not hide the fact that honorable women were needed for marriage–the population in Washington was 9/10ths male–they were also offered respectable employment. The three women who narrate this story each have a different reason for joining the expedition, and as their stories unfold they find that though they are dissimilar in many ways, the journey binds them together like sisters. Josephine (Jo) is the oldest at age 35, and has joined the Mercer Girls under mysterious circumstances that play out over the course of the story. She’s the voice of reason and eventually shows an interest in the Women’s Rights Movement with Susan B. Anthony. Sophronia (Sophie) is the daughter of an uppity preacher, and has such high moral standards that she scared off all of her suitors–which was already a small pool due to the Civil War–and is relocating for a fresh start. Ironically, she sees no fault in her past behavior and so carries on with her Miss Perfect personality, though this does enable her to be taken down a notch or two when she finds her true calling may not be matrimony. Finally, Dovey is Sophie’s adversary and, at times, partner in crime. Dovey is a bankrupt mercantile merchant’s daughter who is escaping a formidable father and arranged marriage. She has her heart set on setting up a business of her own, and it’s one that shocks everyone–most especially Sophronia. All three women find their new life is not exactly as they’d expected, and they each set out to make what they can of it. 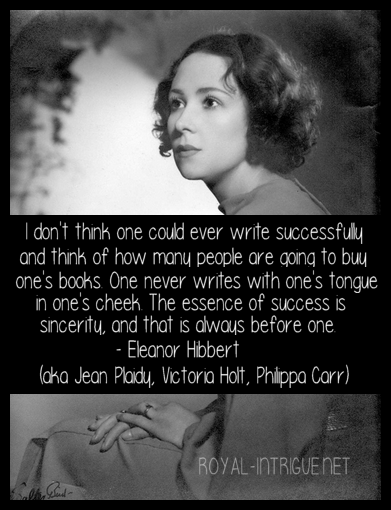 Right away the author’s strengths shined through–atmospheric details, a stellar vocabulary and smooth writing. Her characterization is also top notch, with meaty backgrounds and believable personalities. 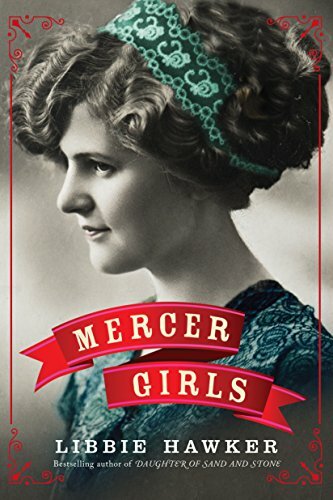 In fact, there’s really nothing to criticize about Mercer Girls, other than it may be overlong for some readers and some characters can be exasperating (although this was probably the intent).I listened to this book on audio, and found the narrator to be prolific with her range of voices and pleasing to the ear. The history behind the story was new to me, although there was a television show in the late 1960’s entitled Here Come the Brides, based on the general idea, but not historically accurate. Hawker’s version, as she explains in the Author’s Notes, is based on the true account, with one of her protagonists–though fictional–created from actual Mercer Girls. I greatly enjoyed spending time with this book on my commute, and recommend it for historical fiction readers who prefer longer stories with much character development.